“We are what we eat” – a well-worn phrase, but a true one. Our physical constitution depends absolutely on the provision from external sources of all of the various nutrients – be they water, protein, fat, carbohydrate, mineral or vitamin – that our body requires both for short-term metabolism and for long-term growth, repair, and adaptation. Similarly, although less obviously, we are what we breath – the constant exchange of air via lungs and bloodstream internalizes, binds or solubilizes, and distributes our gaseous environment throughout our body as a constant and essential process, maintaining appropriate pH balance, partial pressures, and oxidative potential both inside and outside every cell. Less obvious still, but just as inevitable and essential for the maintenance of the body, is the constant exchange of etheric energy – of “chi”, “prana” or “num” between the internal and the external environment. Much of the focus of holistic therapeutics is on extending our awareness of the body beyond the biochemical, biomechanical model, embracing the reality of each person as an interwoven complex of body, mind and spirit, with patterns of health and dis-ease moving between and influencing each level, the “above and below” mirroring and patterning each other and allowing powerful healing to occur throughout the system with even the gentlest and least intrusive of therapeutic attention. The mystery traditions hold that spirit moves into matter for self-expression, experience of all manner of relationship, and consequent self awareness, development, and evolution. Patterns and energy forms held by the individual spirit are expressed from the higher vibrational bodies through the increasingly dense levels of consciousness down into the mental, emotional, etheric, and, finally, physical bodies, where the soul can experience itself in an intense and inevitably self-reflective fashion. Imbalances and traumas held in any of the vibrational bodies will gradually move into matter, becoming manifest in the physical body and the outer worldly life where issues can be experienced and interacted with in a tangible form. Healing can therefore often be most effectively directed towards the source of the trauma and imbalance rather than at the more obvious, outer level, and herein lies the virtue of therapeutic strategies that address the more subtle, patterning levels of the human consciousness complex. Ultimately, all levels can be brought into balance through healing directed towards the subtle energies of the spirit itself, although this may in some cases involve a longer and less immediately dramatic shift in outer circumstances than the “magic bullets” of a more symptomatically oriented approach. These concepts are no longer new to us, and the language of holism as applied to the individual is becoming more widespread and sophisticated. We are still more culturally conscious and skilled with the relationship between body and mind than we are with the interface with spirit however, and this is especially true in the context of environmental parameters influencing health. It is not sufficient to look at the individual alone and out of context with their environment when addressing health, healing, and wellness. We exist in relationship to every aspect of our lives and environment – to place, to circumstance, and to other people. Biological membranes are semi-permeable. There is no real isolation from that which is around us – rather a constant exchange occurs. We are what we eat – nutrition is an essential and grossly overlooked aspect of healthcare and wellness strategies. We are what we breath. These things we understand and embrace, even though we may be lazy in acting on their implications. But the third element of spirit – elusive and often given only lip-service even in allegedly holistic therapeutic models, is almost entirely neglected in the environmental context. Metaphysically speaking, the body of the earth is no different from the body of a person. That is to say, as well as having a tangible, physical body, it also has an etheric body, an emotional body, a mental body, and higher spiritual bodies. The individual human is in relationship with each one of these at our own, corresponding level. This is also true at the community and cultural level, in which the collective energetic consciousness of the human community interacts with the energy field of place. Primal and indigenous cultures had a keen awareness of and a rich relationship with the spirit and consciousness of place, and took this into consideration above and beyond all other factors in directing the focus and activity of the community. The consequence at a cultural level of having shifted our paradigm in relating to place as something having only a physical, material nature is apparent in the environmental crisis that surrounds us on all sides. Any amount of reducing consumption, recycling, and re-using will not solve our problems – nothing less than a paradigm shift to reconnect with the spirit and consciousness of our environment will bring us back into right relationship. At an individual level, the consequence of “wrong relationship” with place is that of geopathic stress. Geopathic stress is typically defined as prolonged, repeated exposure to damaging earth energies. Consequences include disease and dysfunction of a repeating or chronic nature, unresponsive to therapeutic intervention and typically showing up after a move to a new domestic or work location. Sleeping long and waking tired, and other dysfunctions of biological rhythms is typical. 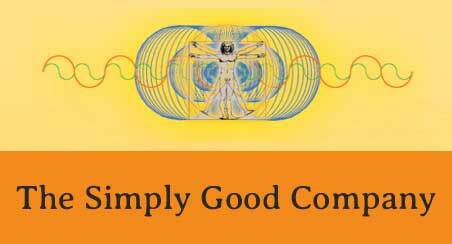 Geopathic stress is most easily identified and assessed through dowsing, kinesiology or vega analysis, and the energy fields causing it relate to various tangible and intangible elements in the earths structure, both physical and energetic. Essentially, earth energies are the “chi paths” or meridians of the earth’s energetic body – similar to those worked with by Traditional Chinese Medical practitioners in the practice of acupuncture. 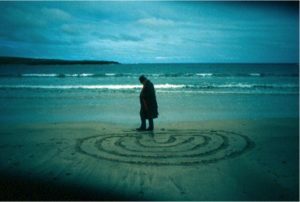 These planetary chi paths have gone by many names – they are dragons, they are spirit paths, they are song lines, they are energy leys or ley lines, they are the shamanic “lines of the world”. They also follow underground water courses, faults and fractures, and mineral and crystal seams. Energetically aware cultures have sought out power centers, where the earth’s energies are strongly focused, for spiritual practices including healing and divination. By contrast, they place their domestic sites where the dragons’ breath is sweet and gentle. Spending extended periods of time in the path of either strong or grumpy dragons creates stress and trauma to the equivalent energy body of the individual, with consequent imbalances developing in the mental, emotional, and physical bodies. In addition to the direct effect of the earth’s energies on the human etheric body, place memory – mostly human psychic and emotional residue – impacts the human emotional body, and our higher spiritual bodies can be affected by spirit presences, both human and non-human that are place associated. 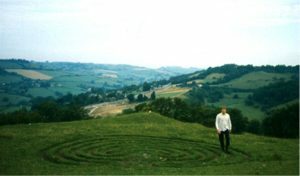 Healing and energy balancing can be directed towards place and environment in exactly the same way as towards an individual, and, indeed, many therapeutic techniques need little adaptation for use in working with landscape. What is mostly lacking is the awareness of this level of relationship. In growing back into this awareness, there are two cautionary considerations. Firstly, energy fields that are harmful to a person may allow other species to thrive. Fruiting trees and many domesticated animals are injuriously affected by the “yin chi” associated with underground water for example, perhaps the source of 85% or so of geopathic stress as it affects humans. Medicinal herbs, members of the nightshade family, burrowing animals, bees and insects, and everything that lives in your compost heap simply adores such energy however. Geopathic stress is a condition of unaware relationship, of people placing themselves in what are for them adverse locations. It is certainly possible to change and balance such energies to render them harmless to humans, however if we do this on a planetary scale we will be creating desert conditions for many other species, with awful karmic consequences for ourselves. Balance, balance, balance. Secondly, it is important to be aware that while the spirit of place does not have the pro-active consciousness or free will granted to humans, it has vastly more psychic mass and inertia than we do individually. Healers are well aware of the potential for their own energies to become imbalanced or traumatized through interacting with the imbalances and traumas of their patients and clients. This potential is vastly greater when working with imbalance and trauma in the landscape, and collaborative efforts, such as Fountain Groups, where healing is directed into the landscape by groups sitting together in meditation with healing intent, are very valuable in offering support and increasing effectiveness. including that of the Native American and the ancient Celt, the Greek and the Roman, the increasingly popularised Chinese tradition of Feng Shui, and the Hindu tradition of the Vastu Veda. All of these are codes of practice relating to their own culture and time period, and much can be learned by their study. Our challenge today is to reconnect, re-engage, and create a contemporary geomantic paradigm, based on the central, generic, and universal principles, contemporary to our own culture, language and symbolism, vibrant, vital and accessible to all.